You are here: Home / Cookies / Merry Christmas! I can’t believe it’s Christmas Day! 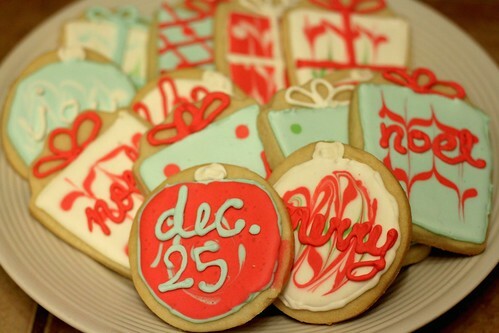 This is my favorite holiday of the whole year, so of course, I had to make cookies for the occasion. I know this is random, but I just wanted to share a local Christmas carol that just doesn’t feel like Christmas to me unless I watch this during the season. If you’ve been to NOLA (or, of course, lived in NOLA), you might have heard of a few of these things/places. Hope you and your families have a wonderful holiday! Merry Christmas!